Welcome to our new subscribers, and welcome back, if you've been here before! OK. I know you are laughing at me. Julie, what does a clean car have to do with my writing? Don't we all live with too much clutter around? The best thing about your car is that this is a small area (relatively easy to clean and keep out the clutter) and you spend time in it nearly every day (at least I do). So, it's fairly easy to get your car spotlessly clean. Then make a rule that every time you pull into the driveway, you take all the stuff (including the trash!) out of the car. With this rule, it's easy to KEEP it clean. Then every time you hop into your clean car, it will be soothing rather than stressful. How do I know this? This week, my mini-van got a thorough overhaul. It desperately needed the whole works... and every time I've gotten into the van this week, instead of thinking, "I've GOT to get this van clean," I was thinking, "Wow. The van is so clean." Then as I was driving, it was easy to move my mind to my other projects, especially my writing projects. AND... it always feels good to check off one of those projects that has been hanging around on your to-do list for too long! In case you missed the announcement last week, for the month of July and possibly August, you'll be receiving very short editions after my parents stays in the hospital. I need to focus on my kids and family along with some additional corporate work I've scheduled. Thanks for understanding! P.S. "Julie, I love your book. I have read (or at least opened) more than a trunk load of books about writing over the years. Yours is the first I have seen that gives readers so much in one place. 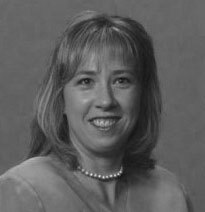 For me, the Master List and putting that together was more than worth the cost." Read more reviews or buy the ebook from Booklocker.com. Do you need .PDFs of your brochures and flyers? Consider purchasing The Print Shop Deluxe 15 from Broderbund. For only $24.99, it creates .PDFs of your design files. I paid $400 for the full version of Acrobat last year, so this is a deal. Go to the bottom of the home page to order for a limited time. have to use your credit cards. If you are trying to publish your book with a traditional publisher, I highly recommend The Fast Track Course on How to Write a Nonfiction Book Proposal. 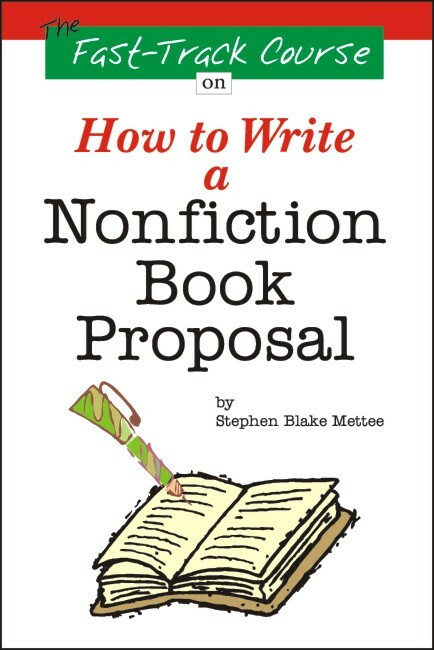 According to the author, Stephen Blake Mettee, "Most nonfiction books are sold to a publishing house on the basis of a book proposal, usually before the book has been completely written..."
But, just what is a book proposal? Mettee dives right in with his explanation on page three, "A book proposal is a ten-to-fifty page document designed to give the acquisitions editor enough information and enough confidence in you as a writer that he will offer to publish it." Do you know what you need before you put together the book proposal? No? Find out in Chapter 2 which explains the goal of a query letter and how to write one. This quick-read provides the essentials you need to learn how to write your proposal. It gets an A+ in the scan factor with lots of headings and bulleted items. It also includes a sample query letter, a sample book proposal, a sample agency contract and a sample book contract. Before you pop your proposal in the mail, check out the book proposal checklist on page 100. My recommendation: This is the perfect introduction book if you need to know how to write your book proposal whether it is for an agent or an editor. To order the book, call the publisher direct at 1-800-497-4909 or from Amazon. This 30-day plan includes links to my ebook, The Organized Writer: 30 Days to More Time, More Money, and Less Frustration. You can buy it for only $14.95 (instant download, no shipping) at Booklocker.com.